Apple has now officially announced the iMac 2019, and offered us some tantalising information about what we can expect from this year’s all-in-one Mac. As we’ve said from the start, the iMac 2019 needs to offer a decent leap in hardware power because, almost immediately after the iMac 2017 hit the streets, backed with a 7th-generation Intel Kaby Lake processor, Intel announced the new 8th-generation Coffee Lake chips – which have been succeeded by 9th-generation Coffee Lake Refresh chips. With the current iMac two generations behind the curve when it comes to silicon, the iMac 2019 needs some serious hardware upgrades. The good news is that Apple has done exactly that, announcing a refreshed iMac 2019 that doesn’t look any different from the iMacs that have come before it, but with new 8th generation and 9th generation Intel processors. 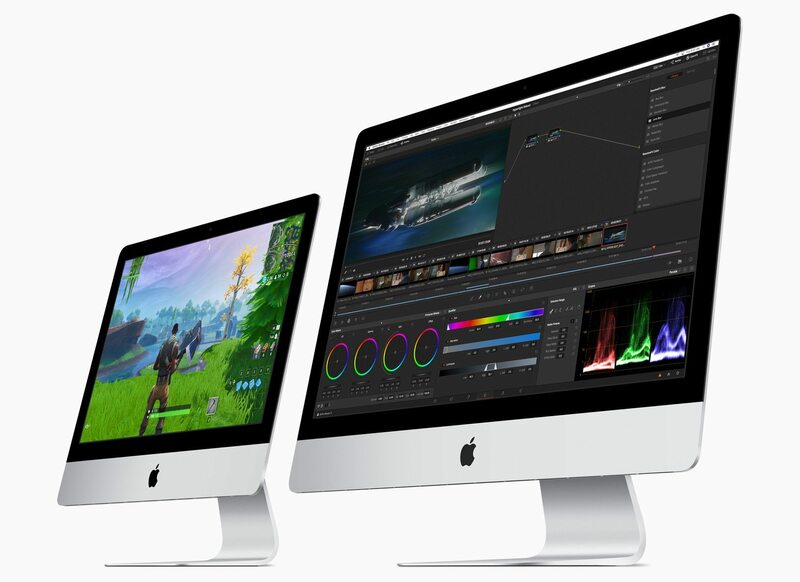 While we don’t currently have all the information about the iMac 2019, we’ve updated this page with everything we know so far, as well as any rumors and speculation we’ve found as well. Apple has just announced that the iMac 2019 will be available to order on March 19, 2019 from Apple.com and the Apple Store app. If you want to walk into a store to pick one up, then Apple Stores and Apple Authorized Resellers will begin selling them in the week beginning March 25. Apple has also now officially revealed the iMac 2019’s price. The 21.5-inch iMac 2019 starts with an 8th-generation quad-core Intel processor at $1,299/£1,249 (about AU$1,899), but you can upgrade that to a 6-core processor for an additional cost. Meanwhile, the 27-inch iMac 2019, with a Retina 5K screen, comes with a choice of 9th-generation 6-core and 8-core processor configurations and starts at $1,799/£1,749 (around AU$2,699). The base price of 2017’s non-retina iMac is $1,099 (£1,049, AU$1,599), and will be continued to be sold. So, there’s now an iMac 2019 with a 21.5-inch Retina 4K display, a 3.6GHz quad-core 8th-generation Intel Core i3 processor, 8GB 2666MHz DDR4 RAM, 1TB hard drive and a Radeon Pro 555X GPU with 2GB of GDDR5 memory. There’s also an iMac 2019 with a 3.0GHz 6-core 8th-generation Intel Core i5 processor, 8GB RAM, 1TB Fusion Drive, and a Radeon Pro 560X GPU with 4GB of GDDR5 memory. For the 27-inch iMac 2019, which comes with a Retina 5K display, you can get it with a 3.0GHz 6-core 8th-generation Intel Core i5 processor, 8GB RAM, 1TB Fusion Drive and a Radeon Pro 570X with 4GB of GDDR5 memory. This also comes in a cofiguration with a 3.1GHz 6-core 8th-generation Intel Core i5 processor, 8GB RAM, 1TB Fusion Drive and Radeon Pro 575X with 4GB of GDDR5 memory. Finally, there’s an iMac 2019 27-inch with a 3.7GHz 6-core 9th-generation Intel Core i5 processor, 8GB of RAM, 2TB Fusion Drive and a Radeon Pro 580X with 8GB of GDDR5 memory. All of these configurations can be tweaked, including boosting the RAM up to 32GB or 64GB for the two more expensive 27-inch models. So, that certainly gives the iMac 2019 a power boost compared to previous models, and makes it a very competitive all-in-one PC.